The International League of Peoples’ Struggle (ILPS) condemns in the strongest terms the assassination of three Kurdish women political activists at the office of the Kurdish Information Center in Paris. The victims of this brazenly premeditated murder who were all shot in the head were Sakine Cansiz, a founding member of the Kurdistan Workers Party (PKK), Fidan Dogan, the representative of the Kurdistan National Congress (KNK) in Paris and a young Kurdish woman Leyla Söylemez. This political murder comes on the heels of the unlawful arrest of Executive Committee Member of the Kurdistan National Congress Adem Uzun in Paris last October. Mr Uzun was in Paris to attend a conference on the situation of Kurds in war-torn Syria. Mr Uzun is a respectable member of the Kurdish movement for national self-determination who has been involved in efforts to find a negotiated solution to the armed conflict between the Kurdish people and Turkey. He was one of the Kurdish representatives who had earlier met with Turkish officials in Oslo in 2009 to 2011 in connection with efforts to start peace negotiations between the PKK and the Turkish government. The KNK has charged that the arrest of Mr Uzun was meant to curry favor with the Turkish government. Turkish Prime Minster had earlier recently criticized the `French government for not doing enough to curb the activities of Kurdish activists in France. We can logically surmise that the murderers of the three women activists found encouragement from the illegal arrest of Mr Uzun by the French authorities to carry out their dastardly act. The ILPS supports the legitimate struggle of the Kurdish people for national self-determination. 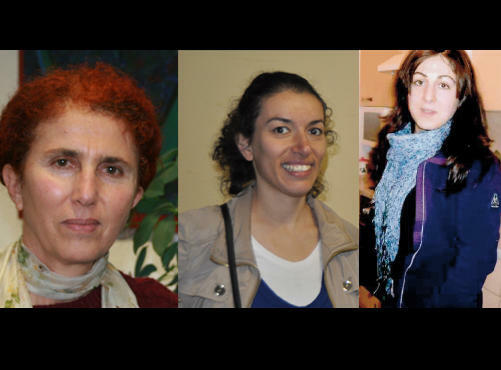 We call on the French authorities to conduct a thorough investigation into the political assassination of the three Kurdish women activists and bring the perpetrators to justice. We call on the French authorities to immediately release KNK Executive Committee Member Adem Uzun from illegal detention. We call on member organizations of the ILPS to condemn these latest attacks on Kurdish activists and organize appropriate protest actions against the Turkish government for its continued oppression of the Kurdish people and the French government for the latter’s complicity in the oppression of the Kurdish people and persecution of their legitimate organizations. ← Best wishes for the New Year, 2013!